We take the greatest care when making BMV, a process which starts with our proprietary still and Platinum filter that we absolutely believe creates the smoothest tasting vodka, period! ·Why is BMV distilled 25 times, and what does that mean? We distill BMV 25 times because this extra level of care and effort creates a very pure spirit, removing a greater percentage of the impurities that leave uncomfortable physical effects on many people after drinking alcoholic beverages. Many vodkas on the market boast distillation of 5 or 6 times, we distill 25 times! ·Where can I buy BMV? 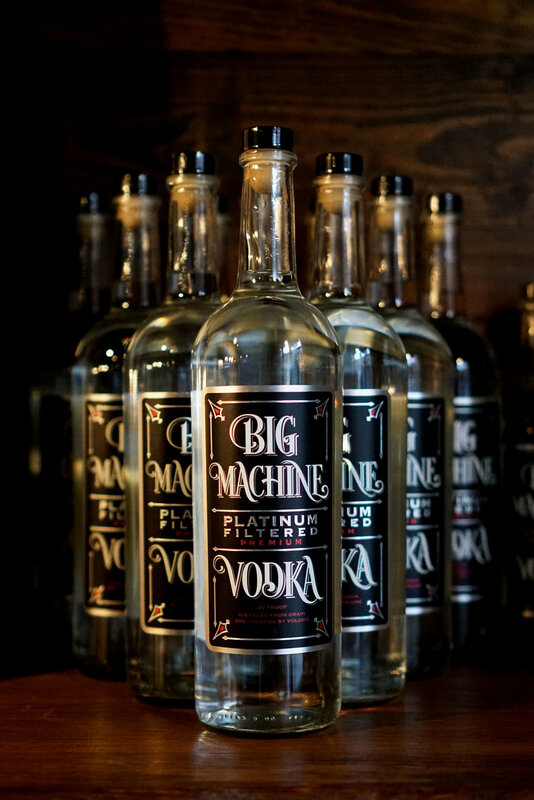 More and more locations regularly add Big Machine Vodka to their shelves and menus. Visit our Locations Page for your favorite places to buy or drink Big Machine Vodka. If your favorite spots aren’t listed, make sure to ask them to carry it! Unfortunately our bottled spirits are not sold online but you can purchase other Big Machine Vodka merchandise here. Current liquor laws do not allow manufacturers of spirits to ship their spirits to consumers. ·Can I schedule a tour? Yes!! We love sharing our craft distilling experience with the public. Currently we offer tours at both of our Tennessee tasting rooms and distilleries located in downtown Nashville and down in Lynnville along the Whiskey Trail. Visit our contact page to call and schedule a tour. ·Is BMV related to Big Machine Records, or Big Machine Label Group? Yes, BMLG founder and CEO, Scott Borchetta purchased Tenn South Distillery in 2015 and asked to have Chief Distiller Clayton Cutler create an eponymous spirit, which became our highly prized Big Machine Platinum Filtered Premium Vodka. ·Your question not listed here? PLEASE contact us for more information! Our dedicated and friendly staff love to meet new people over the phone and educate you about Tenn South Distillery, Big Machine Platinum Filtered Premium Vodka and the rest of our Tenn South line of spirits and merchandise.